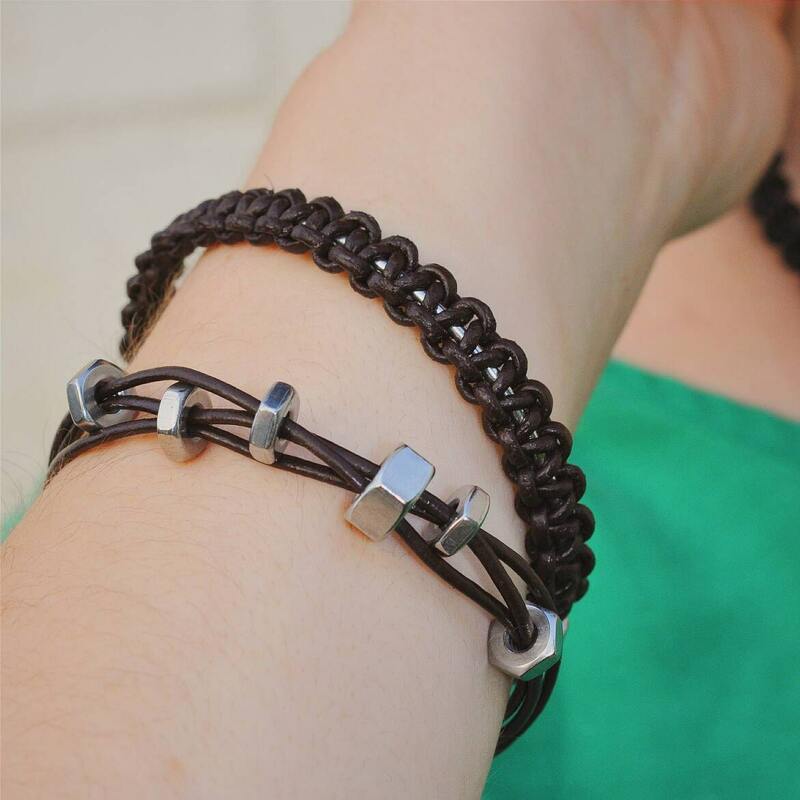 A 7" bracelet made with a stainless steel clasp, stainless steel nuts, and genuine leather cording. 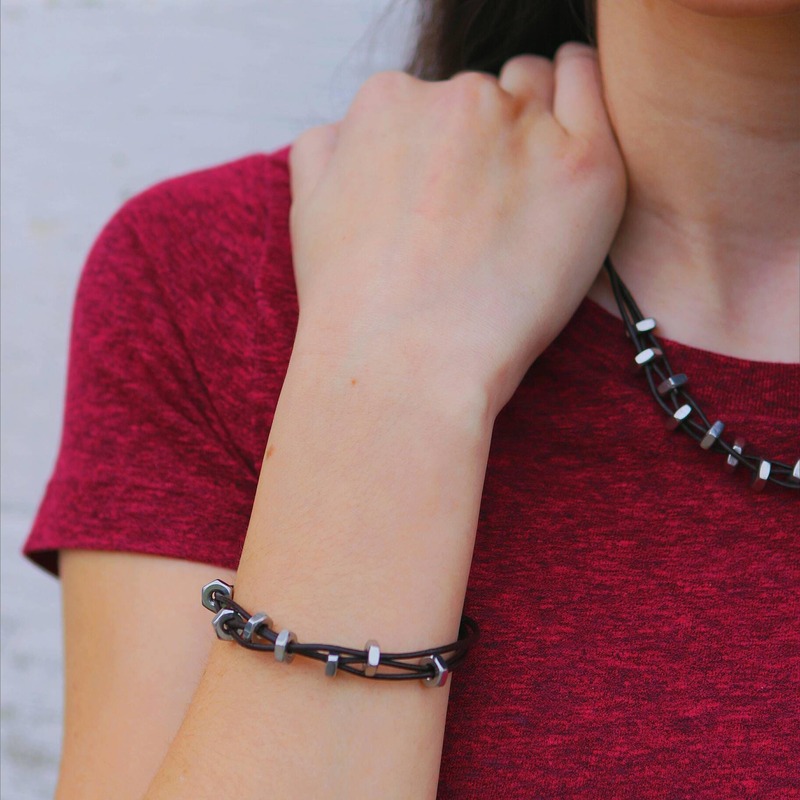 This magnetic clasp snaps together and locks into place keeping the bracelet secure while wearing. Just wear one or stack them. Stainless steel will not rust or tarnish and is hypoallergenic, holding its beautiful shine to compliment the more natural elements of leather, wood, and glass. All wood pieces use reclaimed wood. 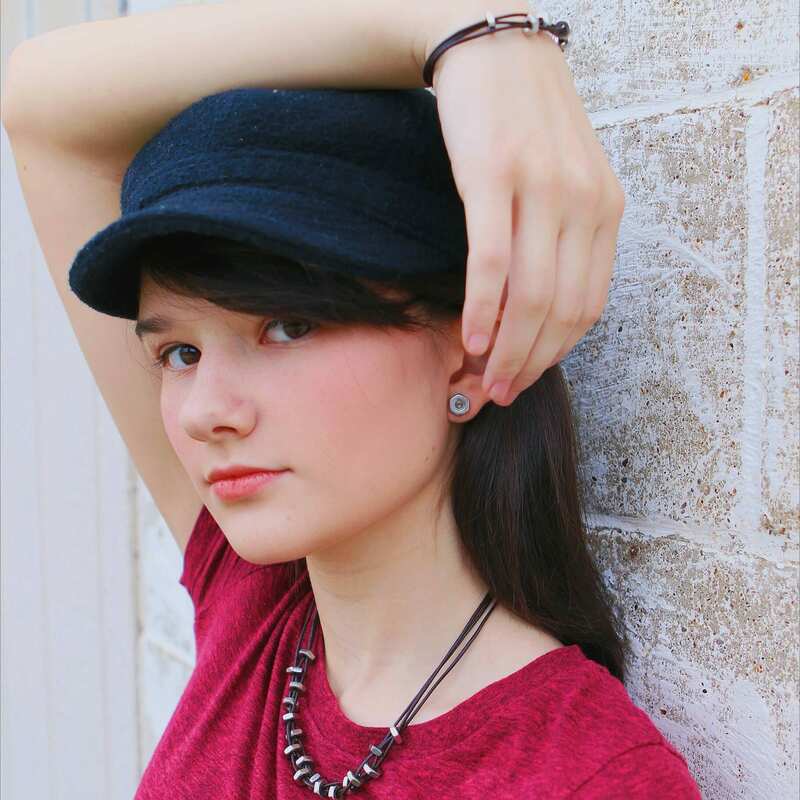 I love these bracelets & earrings! I wear them all the time. 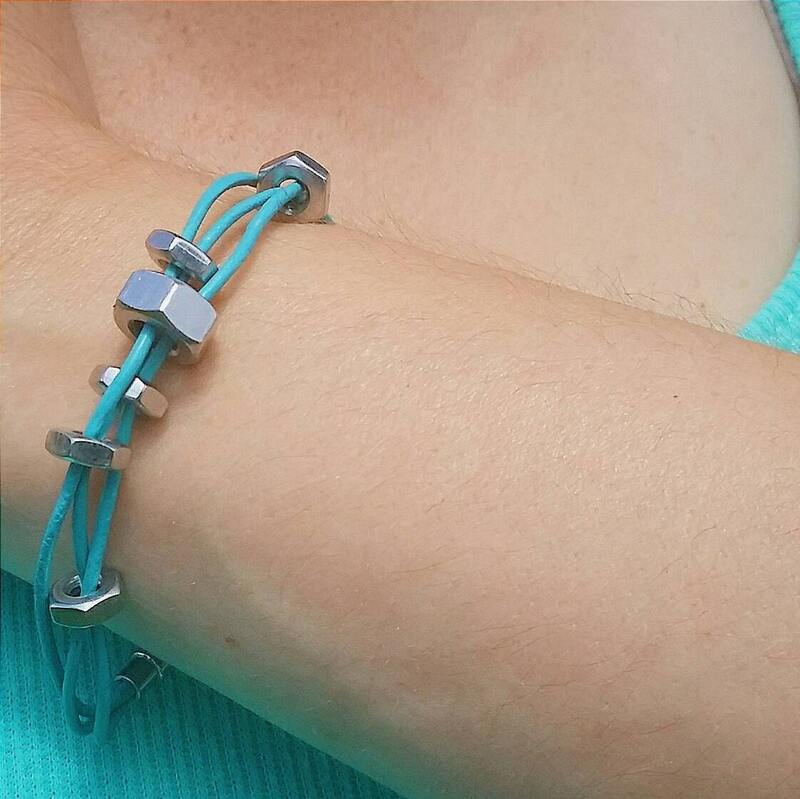 The bracelet has a magnetic clasp so I have never had it slip off once with daily wear. The leather & metal are both top quiality! Plus the packaging & personalized note makes this store the perfect place for gifts for yourself or loved ones! I’ll defiantly be buying from here again! 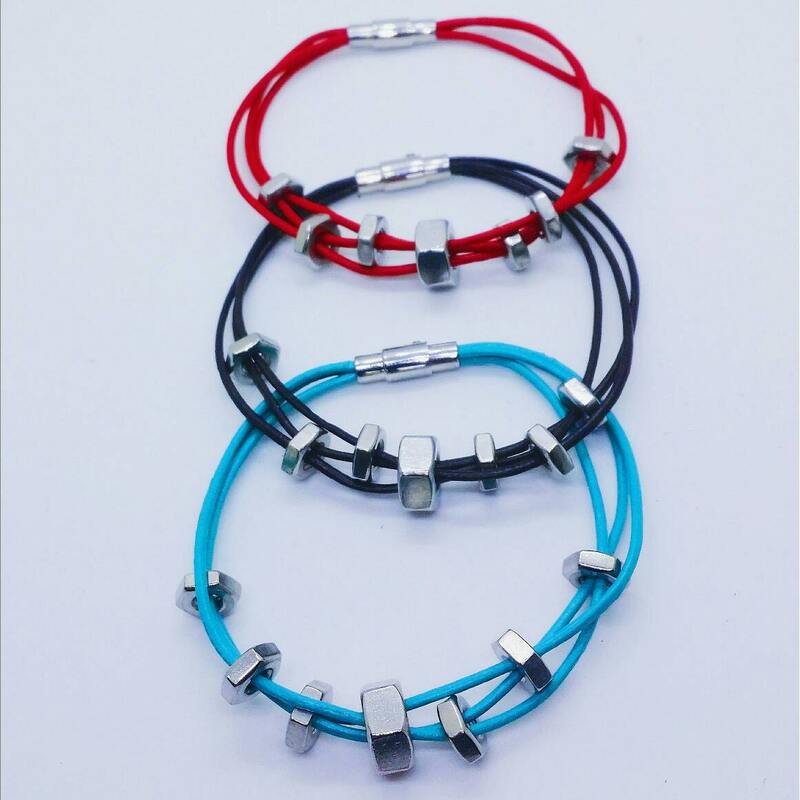 This bracelet is so cute. I have been wearing it so often! It goes with so many things. 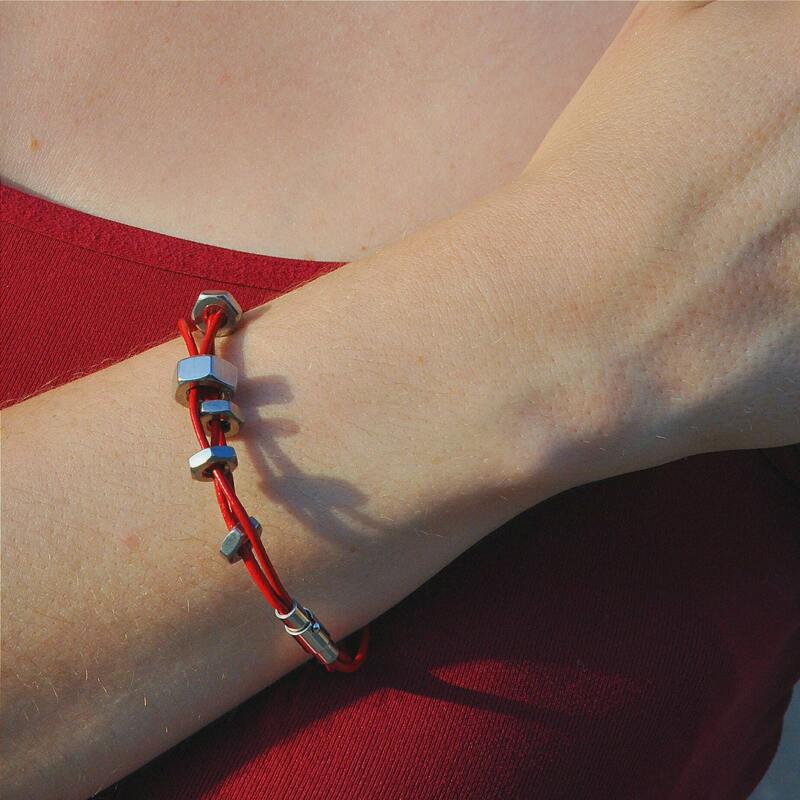 The clasp is easy to take on and off even one handed, but feels secure cause it's magnetic. It shipped to me fast too!